President Obama’s U.N. speech today is filled with nice lines that unfortunately bear no relationship to his seven years of foreign policy — and in some cases, no relationship to reality. It is Barack Obama who has led the way for three years in doing absolutely nothing about Assad’s terror. Obama spoke harshly of Syria’s Bashar al-Assad, “who drops barrel bombs on innocent children” and uses chemical weapons, and he called for “a managed transition away from Assad.” But it is Barack Obama who has led the way for three years in doing absolutely nothing about Assad’s terror. When in 2012 even Hillary Clinton advised that the United States had to do more, Obama rejected that advice and stood firmly for inaction. On Libya, he said: “Even as we helped the Libyan people bring an end to the reign of a tyrant, our coalition could have and should have done more to fill a vacuum left behind.” But why did the coalition not do more? Because Barack Obama rushed for the exits, not because “our coalition” got it wrong. Similarly on Ukraine, Obama spoke of Russia’s “aggression” and said: “We cannot stand by when the sovereignty and territorial integrity of a nation is flagrantly violated. If that happens without consequence in Ukraine, it could happen to any nation gathered here today.” But except for mild sanctions on Russia, what Obama is doing is precisely “standing by” — and denying the Ukrainians the weapons they have repeatedly begged from us, weapons they need to defend their country. In this new era, we have to be strong enough to acknowledge when what you are doing is not working. For 50 years, the United States pursued a Cuban policy that failed to improve the lives of the Cuban people. We changed that. We continue to have differences with the Cuban government, we will continue to stand up for human rights, but we address these issues through diplomatic relations and increased commerce. And people-to-people ties. As these contacts yield progress, I am confident that our Congress will inevitably lift an embargo that should not be in place anymore. Change won’t come overnight to Cuba, but I am confident that openness, not coercion, will support reforms and better the life the Cuban people. Nowhere in all of this did he call for democracy in Cuba. Nowhere did he call upon the regime to free political prisoners; instead he said “change won’t come overnight,” as if the regime had not been resisting change through executions and jailings for more than 50 years. His only actual demand was made not to Castro but to the U.S. Congress, to fully end the embargo of Cuba. Now, human-rights conditions in Cuba have actually deteriorated in Cuba since his policy of embracing the regime was announced last year, giving the lie to the claim that “we will continue to stand up for human rights.” In fact, if President Obama wanted to stand up for human rights in Cuba, today’s address to the United Nations was a perfect opportunity. He blew it. If Obama wanted to stand up for human rights in Cuba, today’s address to the United Nations was a perfect opportunity. He blew it. Some of the tougher language here, like that against the Assad regime, is welcome. But as with the talk about Ukraine, it won’t scare Putin or Assad or the Iranians. They’ve heard it all before and watched as Obama failed to act when American interests were on the line. They listened again today when he said he would never hesitate to use military force, but they recall the chemical-weapons red line in Syria that disappeared and the refusal to act forcefully on Ukraine or Syria, and they see Obama presiding over a steady decline in American military strength. It’s hard to believe they will wince and withdraw after hearing U.N. General Assembly speech number seven from Obama. Obama concluded this speech by saying: “We are called upon to offer a different type of leadership. Leadership strong enough to recognize that nations share common interests, and people share a common humanity.” That’s a nice summation of Obama’s approach, and as we look at the global mess he has created, those words should stick in our minds. Our next president will also have to offer a “different kind of leadership,” one that realizes that the conduct of vicious regimes in China or Russia or Iran or Cuba won’t be affected by warm words about “common interests.” Today was vintage Obama, and one can only be thankful that his next U.N. speech will be his last. 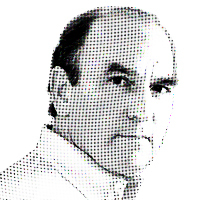 — Elliott Abrams is senior fellow for Middle Eastern studies at the Council on Foreign Relations. He is the author of Tested by Zion: The Bush Administration and the Israeli–Palestinian Conflict.